I don't know about your world but my world seems to be popping with babies. Every time I turn around another relative or friend is announcing another grandbaby on the horizon. From January through April my needles were flying! This was made for my old friend Pat's first grandson, Ryan, who arrived early this year. Pat and I lived a block and a half from each other back in Queens. We chased the Beatles together. She even caught the bouquet at my wedding! 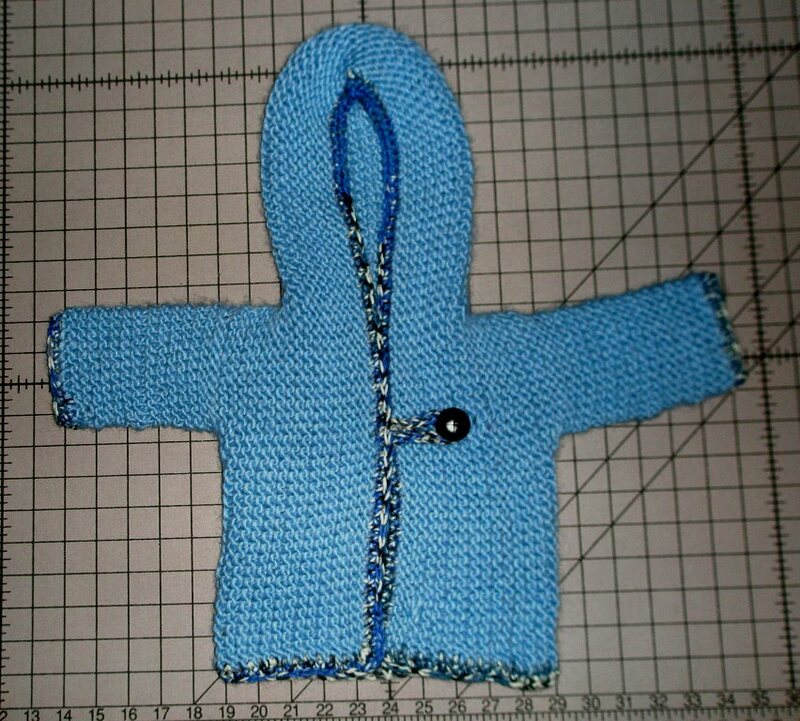 I can't express how sentimental knitting something for her first grandchild made me feel. SNUG by Hinke can be found on Ravelry. 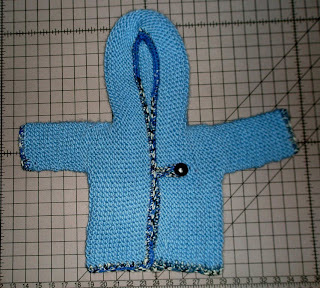 The mitts are Wee Baby Mitts by Christine Vogel. They also can be found on Ravelry. (Is there anything that can't?) The booties are Greemy Booties by Machelle Salmeen. The cap is Welcome to the World Newborn Cap by Nona. 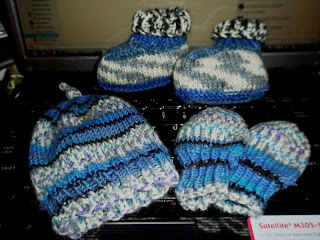 The cap, booties, and mitts are all worked in leftover Schoeller + Stahl Fortissima Colori Socka Color #4008. The snug was Sirdar Highlander Chunky trimmed in the Fortissima. I have to admit I started to understand why everyone loves knitting for babies. The FOs come fast and furious and there's something unbelievably satisfying about seeing a tiny person wearing the garment you knitted. For awhile I couldn't stop making those Greemy booties. I think I was obsessed with them to be honest. 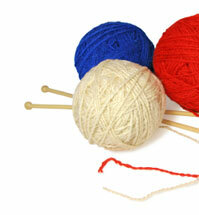 Is there a baby item you just can't seem to stop knitting?